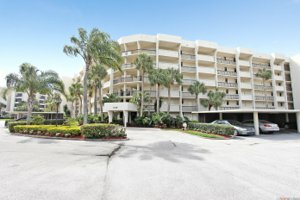 Jupiter Florida waterfront real estate at Jupiter Cove condos for sale are located in three 6-story tan buildings that offer every resident a beautiful wide Jupiter Florida waterfront view of the Intracoastal Waterway and the stunning Jupiter Lighthouse. 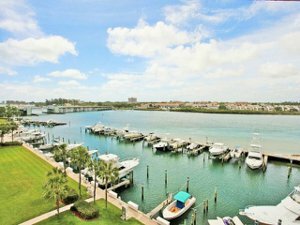 The luxury Jupiter Florida waterfront real estate community boasts its own marina and boating enthusiasts can buy or rent their own dock space. In addition to the community amenities, living in Jupiter Cove means you will be only a short drive away from the area’s hottest shopping and dining and recreational opportunities. 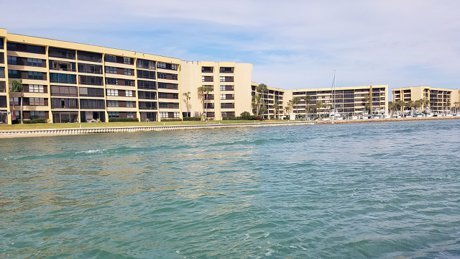 Jupiter Cove waterfront real estate consists of two-bedroom condos, totaling between 42 and 48 units in each of the three buildings. Each condo has a living space from 1160 to 1,300 and up to 1,520 square feet, with large windows that overlook spectacular waterway views. 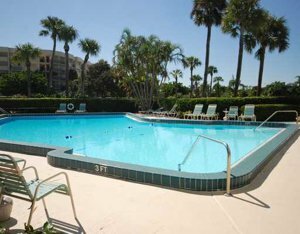 Jupiter Cove homes offer a prime location and community amenities. 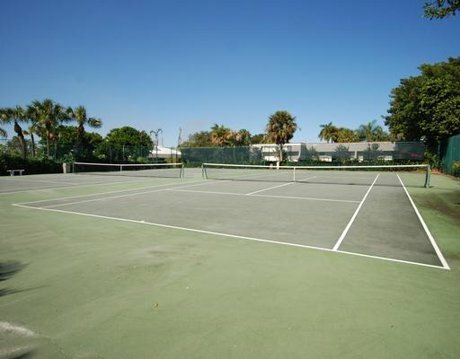 Relax and unwind in the heated pool, or be active on the tennis courts. The clubhouse is a way for neighbors to become friends, and the picnic area is ideal for a chill evening meal or entertaining guests. The marina at Jupiter Cove has paid and rental dock and slip spaces for boat owners to store their vessel when not in use. Residents of Jupiter Cove condos also have covered parking spaces to safeguard their vehicles from the elements. 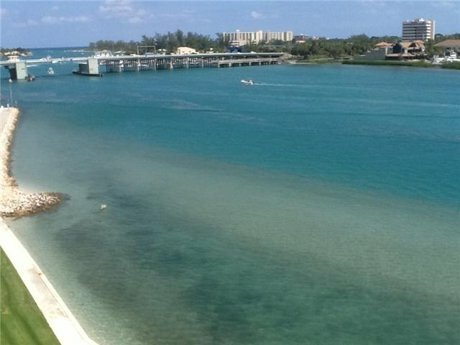 Jupiter waterfront real estate in Jupiter Cove has an unbeatable location along the beautiful Loxahatchee River and Jupiter Inlet. 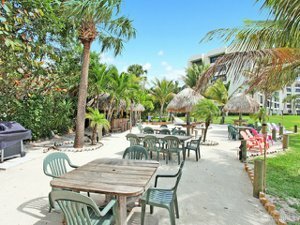 Residents enjoy gatherings at their very own private beach "Pelican Park" on the waterfront complete with Tiki-hut bar and high tops, BBQ grill, picnic area, beach chairs and more. Retrieve your canoe or kayak from the resident storage racks and head out for an early evening ride at your leisure. Perhaps after coming back from the newly built 1000 North restaurant partly owned by Michael Jordan and Ernie Els across the way. Guests can enjoy a selection of modern American regional dishes while enjoying a sweeping view of the Jupiter Waterfront Inlet and the famous Jupiter Lighthouse. Residents of Jupiter Cove real estate have an abundance of recreational opportunities only a short drive away. Breathtaking beaches offer space for swimming, boating, fishing, or just taking a nap on the sand. Other popular aquatic activities include kayaking, paddleboarding, and snorkeling. Both beaches and parks have picnic areas, sand volleyball, and playgrounds so all ages can enjoy fun in the sun. Several golf courses let you practice your swing against the stunning natural scenery. For a cultural outing, there are museums, art galleries, and theatres to explore. Catch the latest blockbusters at Cinepolis Luxury Cinemas, which features reclining leather seats, premium concessions, and a full bar so you can watch in comfort. Jupiter Cove homes are close to a wonderful assortment of shopping and dining. A number of shopping centers nearby feature national retailers like Marshalls, Publix grocery stores, and local boutiques. A popular destination for residents and visitors alike is the waterfront complex Harbourside Place, located along the Riverwalk. Find the latest fashions, service shops, and more. When you need to refuel, there are plenty of cafes, restaurants, and sweet treats to choose from. Restaurants near Jupiter Cove homes feature fresh seafood dishes, of course, but that doesn’t have to narrow your focus. Worldwide cuisines can be found a range of price points to meet your craving and budget, whether you want a quick post-beach snack or fancy date night. Get MORE JUPITER INFORMATION HERE. Traveling in and out of Jupiter Cove is made easier by the community’s convenient location just west of the Intracoastal bridge on US 1. 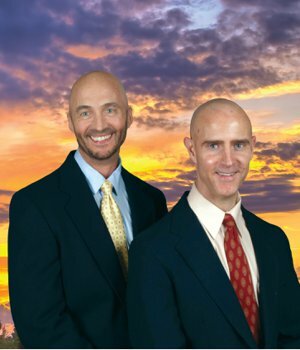 Residents of Jupiter Harbour are served by the School District of Palm Beach County, which features top-ranked programs like Jupiter Community High School. Private schools nearby offer an alternative education.